1965. John, Mark and Mike. 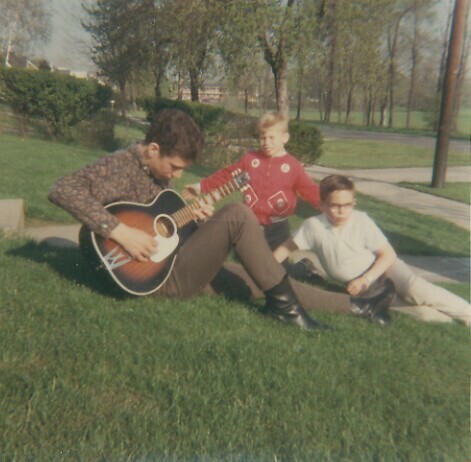 Me playing my first guitar at 14 or 15. The manufacturer was Harmony and the model was Stella. After that I got a Yamaha, and then bought Bill's Martin D-28 from him for $350 when he needed cash to go hitchhiking around the country.